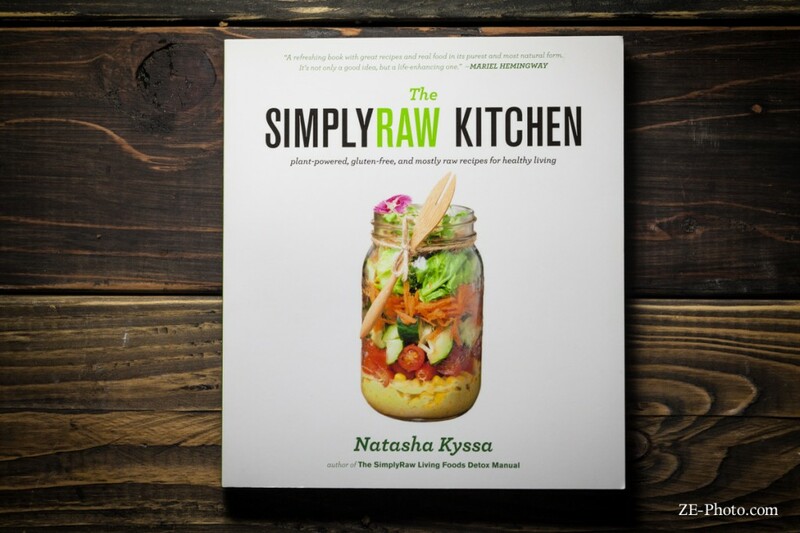 The SimplyRaw Kitchen is a wonderful cookbook by Natasha Kyssa featuring a refreshing collection of mostly raw, whole food recipes. 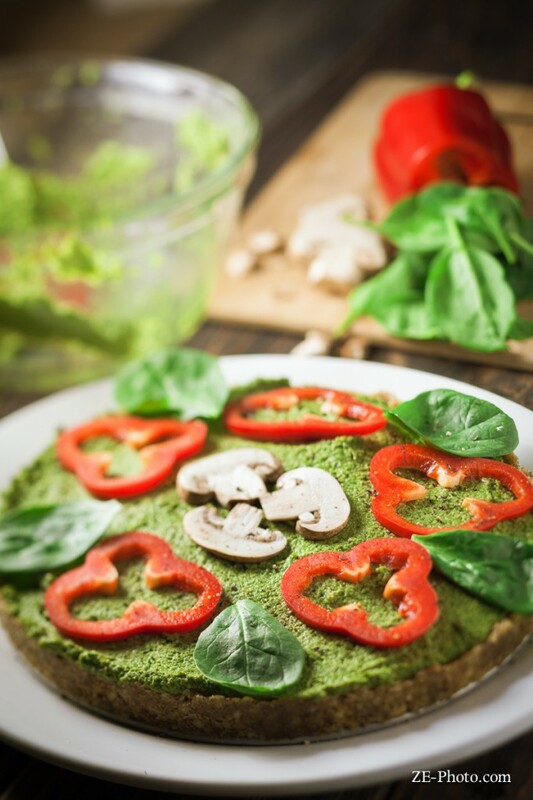 I am completely new to raw cuisine, at least as far as making it myself, so I was a little nervous about attempting some of these recipes, but Natasha spells it out simply with a ton of tips along the way. Read on for my review and a giveaway to win a copy of your own! What I love about this book is that the first 45 pages serve as a sort of manual for raw food beginners including tips, tricks, tools and the low down on common ingredients. Reading through that gave me a great insight into the raw world. There is also a beautiful blessing by Natasha’s mom in the beginning which clearly shows the passion and love these two have for food. That along with colorful pictures (for most recipes – I would still like more though) makes this cookbook a great motivator for people to eat more whole, raw foods. I would definitely recommend The SimplyRaw Kitchen to anyone who is looking for a cookbook to get them on the raw track. The first recipe I made wasn’t a raw one. 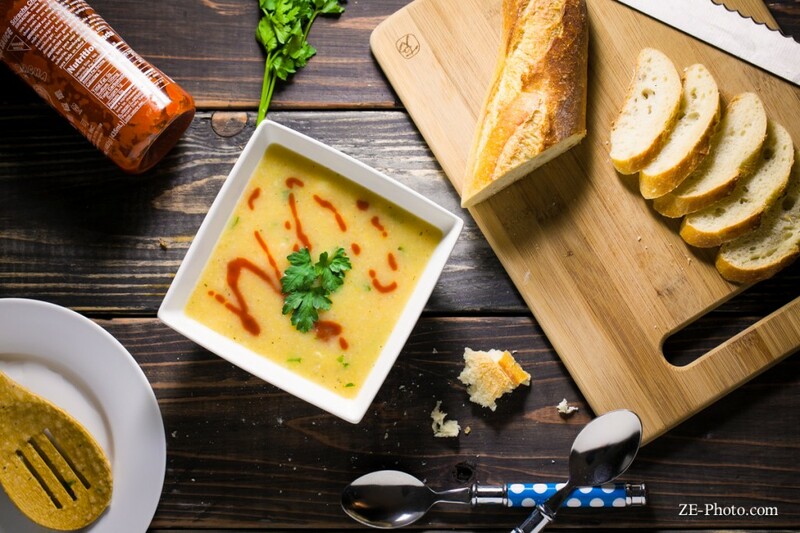 I felt I had to ease into the raw thing so I started off with the Cauliflower Chowder soup. Blended cauliflower, potato and other veggies, this one was simple to make, the instructions were easy to follow and I had most of the ingredients on hand. I was surprised at how tasty this came out. It was creamy, warm and comforting on a chilly Autumn day. I have a feeling I’m going to make this one a lot during the winter. 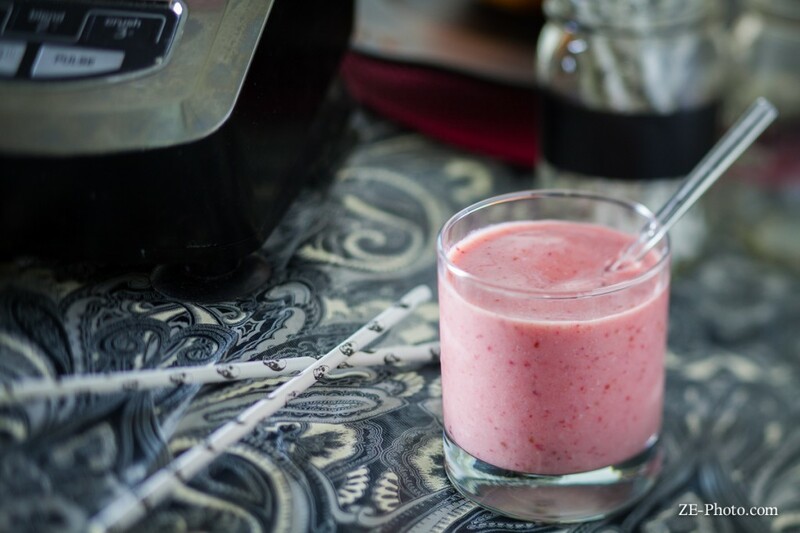 The next recipe I tackled was the simple yet refreshing Strawberry Fields Smoothie – a combination of frozen strawberries, dates, almond milk and hemp seeds. The drink was rich and satisfying with just the right amount of sweetness. Again, I had most of the ingredients on hand as I usually have a smoothie most mornings, but this was definitely different from my normal routine. The dates gave it a nice sweetness, I just wish my blender was a little more powerful because I had to chew some chunks of those dates as I was drinking. For the grand finale I made the Raw Man’s Quiche consisting of a walnut crust with mushroom, cashew & spinach filling. I picked this one because I liked the sound of the flavor combinations plus it had a pretty picture. I almost always choose to make recipes that have a picture for reference. Just how I roll. I had to go on a search for psyllium husk but I’m told it’s a common ingredient in raw recipes so I’m happy to have it on hand now. Funny how raw food takes just as long as cooked food to prepare. Natasha’s directions were easy to follow, but there were a lot of steps with soaking, massaging, blending and pressing. I had fun with it though and the results were beautiful. I wasn’t sure I could pull it off, but happily I did and had a ridiculously wholesome dinner. Now that I’ve gotten my feet wet into raw cooking (sounds weird calling it cooking), I’m excited to work my way through more of the recipes in The SimplyRaw Kitchen . You definitely get a sense of the love that went into each of these creations. Thank you Natasha for sharing your knowledge and passion for healthy food with the world! Now for the giveaway! If you want to get your hands on this cookbook and try these recipes for yourself, the publishers were generous enough to offer a copy to one lucky reader! Enter through the form below and good luck! **Open to U.S. and Canada residents only.